PTV Sports is the leading and one of the best Pakistani Sports Channel, Currently you can watch this channel on Paksat 38 Degree East, but the problem is that PTV Sports is not a FTA (Free To Air) TV Channel, So to watch this amazing sports channel you need to enter BISS Key in your digital receiver, and this article provides you the correct and updated BISS Key Of PTV SPORTS, because PTV Sports BISS KEY is Changing continuously. So if you want correct and updated BISS key of PTV Sports you need to visit this Page regularly. Below you can find the Verified BISS Key of PTV SPORTS. why ptv sports is changing their key so fast? sir i want ptv sports card. can you please tell me from where i can buy? Will update soon dear, well sorry for inconvenience i was bit busy in my studies thats why unable to update the biss key of ptv sports..
on December 2011. PTV Sports was officially launched on January 14, 2012. 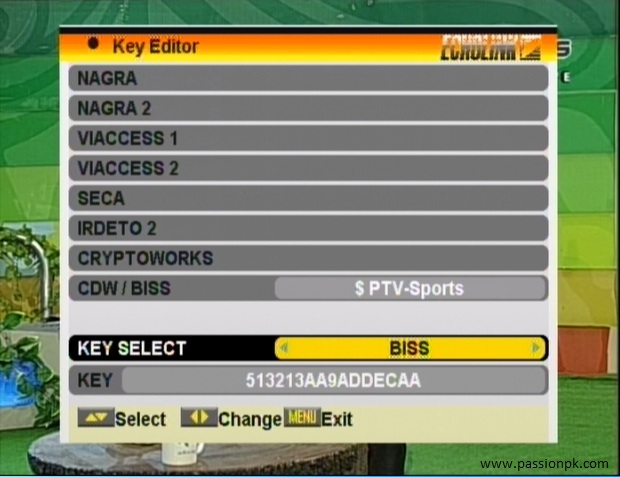 I need PTV sports 2 boss key, any information ?